Quick Look: AOL On (formerly (AOL HD) offers videos from 17 studios, including AP, BBC News, Cooking Channel, DIY Network, ET Online, Food Network, HGTV, Martha Stewart, and Oprah's OWN Network. You can browse by studio or by topic, with 17 categories such as Travel, Parenting, Autos, New, and Entertainment. You'll find a lot of topics covered by AOL On, but not a lot of depth if you'r browsing by category: Most of the categories have just over a dozen videos available. Browsing by studio offers a larger video selection. Martha Stewart, for example, has a thousand videos under her name, but only 15 videos are listed under the Food category. 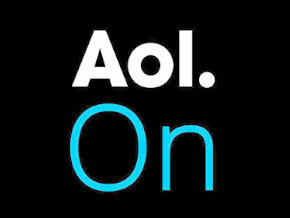 AOL On makes a nice one-stop shop if you want to browse a range subject matter, but many of the studios represented on this channel have their own Roku channel. This includes Newsy, CNet, HuffPost Live, and Moviefone. Developer's Channel Description: Watch the latest videos - from top new stories, the hottest in entertainment, even simple recipes with all of the best videos from Reuters, Entertainment Tonight, Martha Stewart and many more. 14 channels of content -- all for free!